Just two months ago the Blog posted an article about a police officer that was indicted on federal drug conspiracy and robbery charges. That particular officer, a 36-year-old man, will learn his fate at a June 11th sentencing hearing in federal court, and the embarrassing stain of his arrest and prosecution is still fresh on the minds of top cops at the Baltimore City Police Department. But Maryland’s largest police department now faces yet another scandal involving a crooked officer. The United States Attorney’s Office recently announced the filing of criminal charges and the subsequent arrest of a 25-year-old female police officer that hails from Pikesville. The criminal complaint alleges that the woman stood watch in her marked patrol car while a supposed drug dealer completed a heroin sale at a Baltimore area shopping center. The woman also allegedly provided the supposed drug dealer with information about the identity of police informants, which she obtained from department databases. Unfortunately for the soon to be ex-cop, the supposed drug dealer was actually an informant working with the FBI, and the entire transaction is now the basis for a variety of serious felony charges filed against her. The federal charges include attempted possession of heroin with intent to distribute, which is a serious enough offense. But the fact that the controlled transaction consisted of more than a kilogram of the drug means that the woman now faces a mandatory minimum of 10 years in prison with a maximum life sentence. In addition to the possession with intent charge, the woman also faces additional time for possession of a firearm in the furtherance of a drug trafficking crime. The gun was actually the ashamed cop’s service weapon, which she possessed as part of her uniform, and because she was on duty at the time of the transaction. This specific charge carries a minimum mandatory sentence of 5 years and a maximum life sentence, which can run consecutive to the intent to distribute charge. Clearly the U.S. Attorney’s Office is sending a message that this type of corruption will result in prosecution to the fullest extent of the law. In addition to the two life felonies resulting from the controlled buy heroin transaction, the woman and her roommate also are charged with aggravated identify theft stemming from an unrelated fraud scheme. The women are charged with using police databases to obtain social security numbers and other personal identification numbers that the two had planned to use in order to illegally receive income tax returns from strangers. 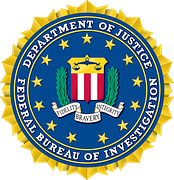 According to the criminal complaint, the same FBI informant used in the fabricated drug deal also posed as a tax preparer and accepted the personal information for more than 30 different people from the women. The identity theft charges carry a minimum mandatory prison sentence of 2 years, bringing the total minimum mandatory years to 17. Of course the minimum mandatory prison sentences are only applied if the defendant is convicted by way of a plea or a guilty verdict at trial. The U.S. Attorney has the authority to decide which charges to pursue, and by doing so can tailor a plea offer to the woman. While it is not likely that the woman will actually serve 17 years, it does seem like a prison sentence of at least 5 years, followed by probation is imminent for the disgraced Baltimore cop. 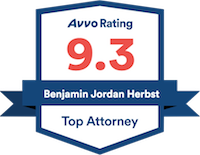 Benjamin Herbst is a federal drug crimes lawyer, who is available 24 hours a day for a free consultation. Contact Benjamin at The Herbst Firm today.